How many little girls grow up wishing they’d been born during the 1800s and lived a wild, free life on the range? I certainly did. My sisters and I played farmer and rancher, my friends and I played cowboys and Indians, and I spent hours reading books about horses and cowboys. Then there were the TV shows—Bonanza, High Chaparral, Gunsmoke, Roy Rogers, Wagon Train, Maverick, and so many more. Doesn't that bring back wonderful memories for all of you Old West fans? And let’s not forget the Western books, with Zane Grey and Louis L’ Amour topping the list during my teens and twenties. How I wished I’d been born in that era and could ride the range, sit around the campfire and experience all the exciting adventures with the heroes and heroines in the books I devoured. I didn't get to follow that dream, although I did buy my first horse when I was twenty and have owned one since. But the Lord gave me something even better, the opportunity to live out some of my dreams through writing historical fiction, and with it, the opportunity to research some Old West towns. I'd have to say my favorite so far is Tombstone, Arizona. Tombstone was a blast! It was like walking into the past as we traipsed the dirt streets of the three block section of old town that’s been preserved. Many of the buildings have stood the ravages of time since the last fire in the 1880s that wiped out much of the town….it was rebuilt shortly after and those are the buildings we were privileged to visit. One of my favorite spots was the Bird Cage Theater, which had only a small change to the interior. Almost every artifact inside was authentic, including an area on the old theater stage that houses a large number of historical items from the town including the hearse that carried people to Boot Hill. The theater contained bullet holes from gunfights along with an actual faro table and other gambling paraphernalia. We stayed for four days in a room at a small hotel used many times by John Wayne while he was there shooting movies. We visited the underground mines, talked to the locals, poked around in Wyatt Earp’s house (truly! 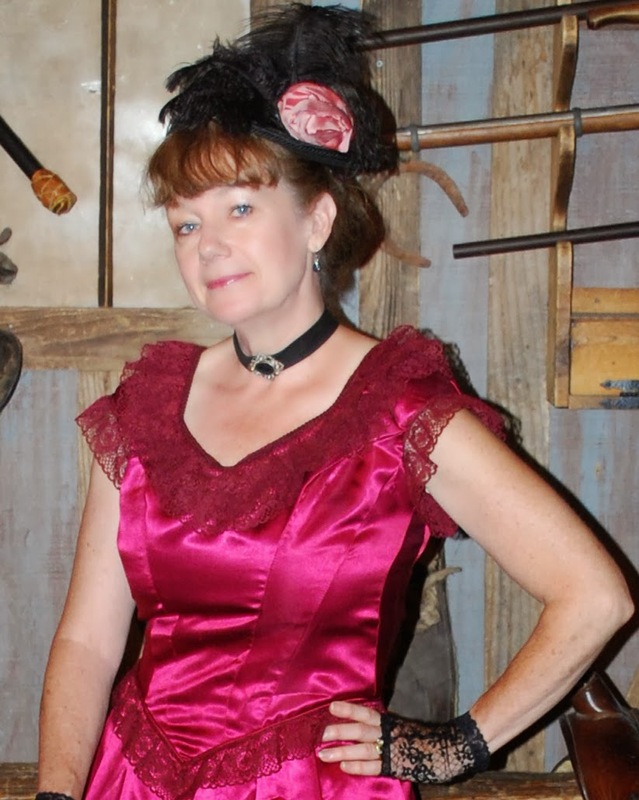 ), meandered through museums and had a picture taken of me in an Old West saloon setting. A new passion ignited in my heart. Who knew that researching and writing historical romance could be so much fun! Katherine Galloway knew this moment of calm wouldn't last, blown away like the dandelion seeds she scattered as a girl. In 1880, three years after her husband’s death, she struggles to run an Oregon boardinghouse and raise two girls alone. Things don't get easier when her critical, domineering mother moves in. Katherine must make the situation work, but standing up for herself and her family while honoring her mother isn't easy. Then she crosses paths with Micah Jacobs, a widower who could reignite her heart, but she fears a relationship with him might send things over the edge. She must find the strength, wisdom, hope, and faith to remake her life, for everything is about to change. Miralee Ferrell’s debut novel released in the fall of 2007, and six more books have followed, with another six under contract with David C. Cook. 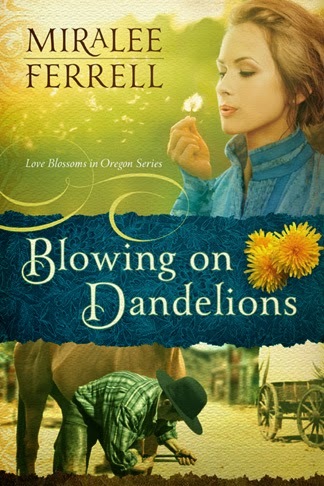 Her historical western romance, Love Finds You in Sundance, WY, won the Will Rogers Excellence in Western Fiction award in 2012, and her first book in the three-book Love Blossoms in Oregon series, Blowing on Dandelions, released June 1, with the next two releasing in 2014. Miralee and her husband have been married over 40 years and live in the beautiful Columbia Gorge in WA State, where she loves to ride horses, garden, take walks, play with her dogs, and minister to women at her church. Thanks for this post! Will have to check out these books. I grew up reading Louis L'Amour books and watching Gene Autry an Roy Rogers. Sally, thanks for stopping by! When I was about 5 or 6 years old my parents took me to a parade where Roy Rogers, Dale Evans and their sidekick with the jeep (what was his name?) were present. I still remember how excited I was to see them. I would love to visit Tombstone. It sounds like such an interesting historic town. I used to watch all the TV shows you mentioned with my dad. One of my favorites was The Big Valley. Welcome to CFHS! Vickie, I remember The Big Valley as well. I loved so many of those shows. Thanks for the welcome. I'm happy to be part of this group! Meralee, Oh how I can relate to your article! I grew up with a cowgirl heart but stuck in small city life!! Watched all the tv shows, pined for a horse, and played all the pretend characters. My favorite gift as a child was a Annie Oakley western outfit with gun belt ( l o l ) How fortunate for you to visit Tombstone I had no idea those things were still there. Best wishes on your book I will add to my to read list. Hi Jackie! I didn't get my first horse until I married and I longed for one all my growing up years, as well. I remember those gun belts for kids! Yes, Tombstone has been well preserved with the dry air and care of the townspeople. Thanks for adding my book to your list, that blesses me so much! Hi Miralee! I am so glad you are living out your dreams through your writing, as I love your books! I enjoyed reading about your visit to Tombstone. Thank you for sharing! Thanks so much for your sweet comment, Britney...and for your great review you just posted on Amazon about Blowing on Dandelions. I appreciate it so much! Miralee, I love your post! 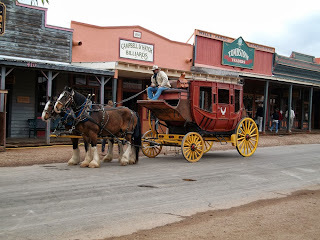 My husband and I visited Tombstone years ago and loved every minute of it. It was certainly like stepping back in time and it was so exciting. It sounds like the love of the Old West has been with you all of your life and how thrilling it is for you to write about what you know and love. Keep up the good work and thank you for what you do. Melanie, I agree, it truly was like stepping back in time. The local people have done a wonderful job preserving the history. You feel such a sense of the old timers as you walk the streets. Thank you for coming to visit! Thanks for taking my spot. I liked your post on Tombstone. Can't wait to read more of your posts and books! Hi Maxine! I appreciate your note very much. Man, I would have loved to have visited Jackson Hole back then. It sounds awesome! I wonder if any of the historical section of town has been preserved? I'm sorry to tell you there is no book drawing this time, but I believe I'll be doing one in November, so be sure you check back. I post on the 13th every month. Miralee, glad to see you here! I would love to see Tombstone if I ever get the chance to go out west. I grew up watching all those TV shows too and loved them. Why don't we have those anymore - you know the kind of Western where people get shot but there's no blood? Anyway, congratulations on living your dream! Marilyn, you really should plan a vacation to include Tombstone someday. 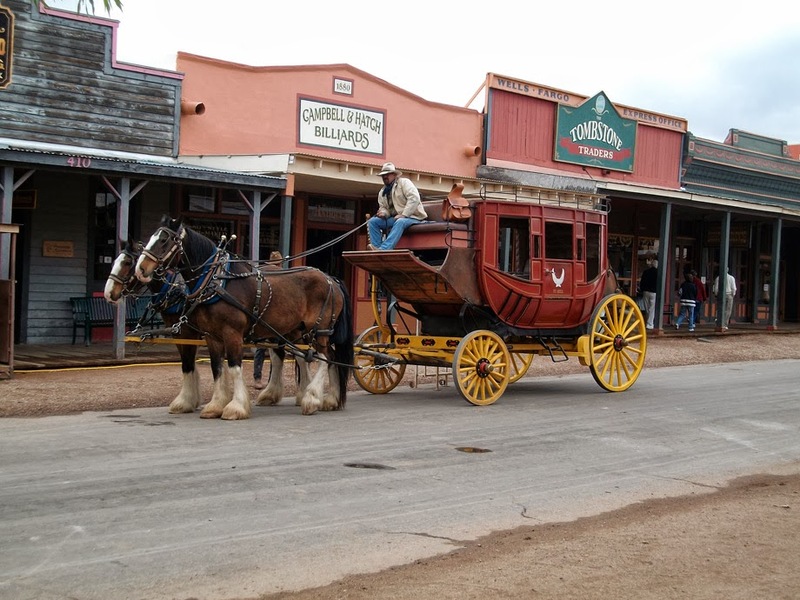 There are other authentic historic areas of towns in Arizona and New Mexico, etc., as well. It would totally be worth it! I agree, I wish they'd offer clean, good Westerns again on TV. Thanks for stopping to chat! Love to explore western towns - thanks for the post, Miralee!